Ever since inception of ITRC, it has been constantly expanding and broadening its horizon for a quest to expand computer and management education to the remotest corner of the globe.always. Its Prime focus is to provide all sustained support to its existing and new franchisee which enables them to operate the educational institute in their region to impart quality education to their registered students. 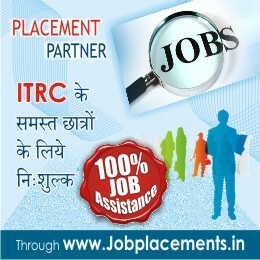 ITRC franchise centres are spread from North to south and from eastern to western parts of India. So far over 500 self employed youth of the country have been benefited by running ITRC franchise centre and the initiative of ITRC to take IT to the masses has been a great success. The state of art franchise support system reduces the operational hurdles and guides the franchise centre.